You only need to change your torch tip to make the switch to hi-pressure natural gas. We have the right tips for all brands and models of cutting torches...hand torches, machine torches, and specialty equipment such as powder cutting torches. 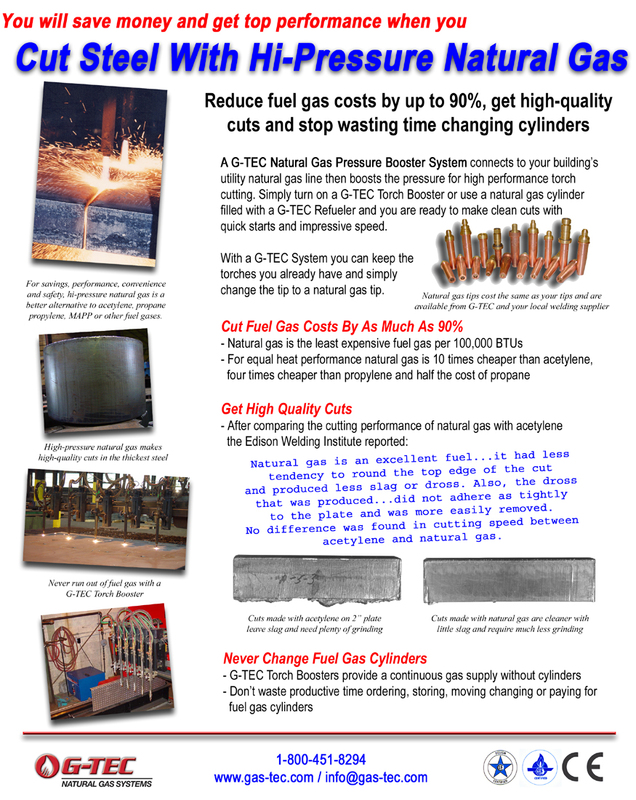 Learn more about G-TEC Natural Gas flame cutting tips. 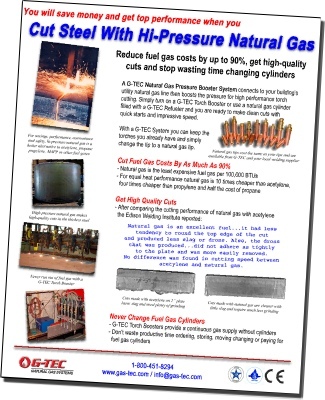 Do you need high-pressure natural gas for your Messer cutting system with ALFA torches? The newest generation of Messer cutting tables with ALFA torches need 25-28 psi natural gas and if your gas utility can’t supply this pressure a G-TEC Torch Booster is the answer! 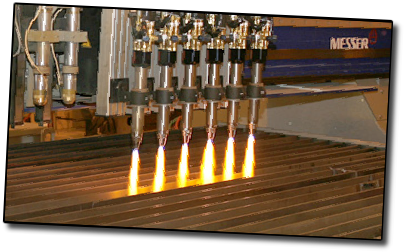 More information about using G-TEC Torch Booster with Messer ALFA flame cutting torches. Using a cutting torch fueled by hi-pressure natural gas means cleaner cuts with less slag, less top edge rounding and less grinding for faster cleanup. Compared to any other oxy-fuel cutting torch, such as an acetylene torch or a propane torch, natural gas gives top performance at lower cost with similar piercing and cut travel speeds. Keep the torch body you already use - simply switch to a natural gas cutting tip! 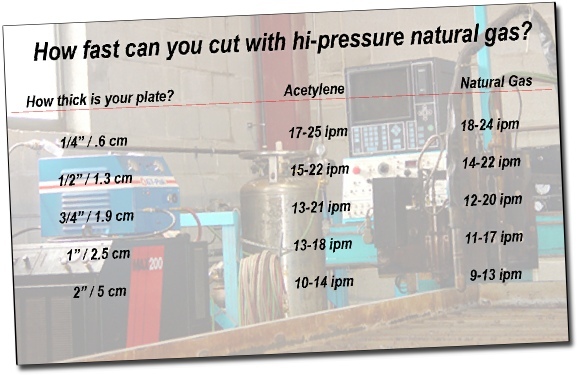 Hi-pressure natural gas starts fast and pierces quickly. 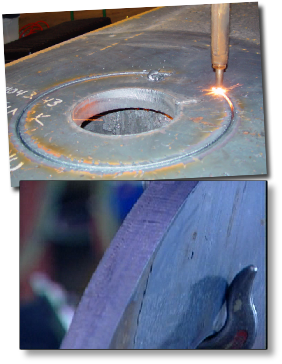 One New Jersey metal fabricator pierces 1 1/2” plate steel in about 20 seconds with hi-pressure natural gas from a G-TEC TB-500 Torch Booster! 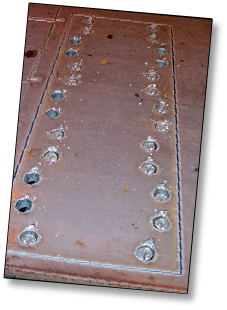 Comparing 1” plate steel cut with acetylene (left) and natural gas (right) shows a cleaner cut with less slag and any slag that is formed is more easily removed from the natural gas cut piece. See how well natural gas performs! TB-30 - For shops with one oxy-fuel torch TB-30 boosts utility gas pressure to 25 psi at 30 cf/hr and will operate one oxy-fuel cutting torch. TB-30 measures only 12’ wide and 12” tall with a depth of 16” and is easy to install almost anywhere. TB-250 - When your shop has up to 6 torches TB-250 can boost gas pressure as high as 45 psi and deliver enough gas to run 6 cutting torches at once. 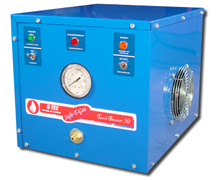 Install a regulator to set get pressure between 1-45 psi. TB-500 - When your shop has up to 12 torches TB-500 is our biggest Torch Booster and can boost pressure to 45 psi at 500 cf/hr, enough to supply 12 cutting torches at once. 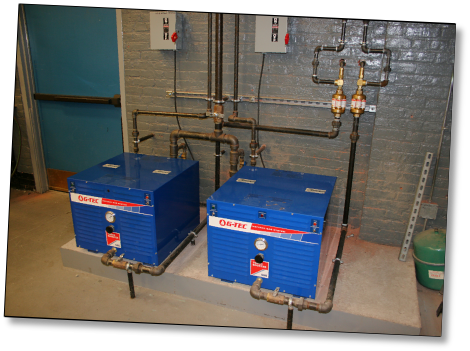 Install a regulator to set gas pressure between 1-45 psi. Do you have more than 12 cutting torches or multiple production stations in your shop? Good news! 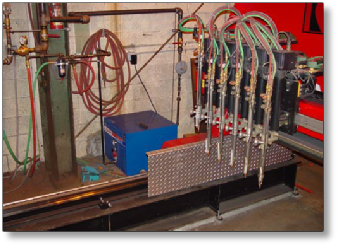 Torch Boosters can be connected to a gas manifold to supply multiple cutting tables or production areas, and if you have more than 12 torches in your facility, multiple Torch Booster modules can be connected together. 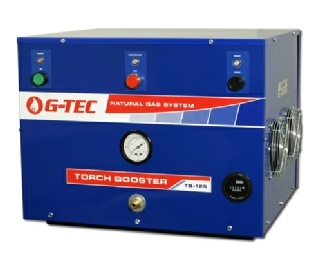 Based on your torch cutting requirements G-TEC will design the right combination of Torch Boosters for you!